The calm before hurricane Irene storms up the coast. We are all prepared to weather the storm in our rv site near the Trenton Bridge on the Mount Desert Narrows. 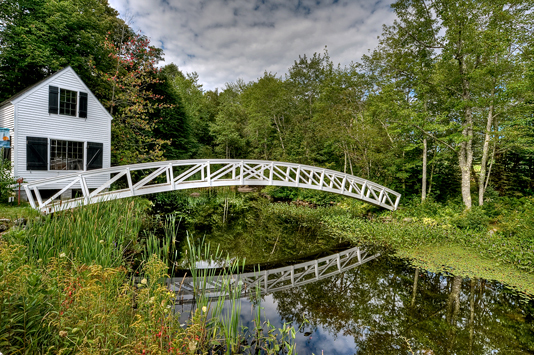 This is a scenic bridge in the quaint town of Somesville on Mount Desert Island. The town has convents to preserve the quiet island feel of this town. 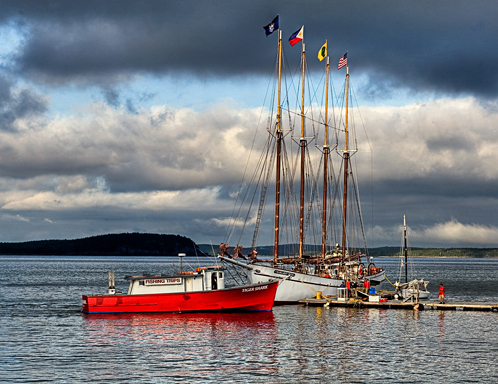 This is the dock at Bar Harbor where the 4 masted schooner the “Margaret Todd” is anchored. The schooner takes tourist on daily cruises.